Hilversum, The Netherlands, October 24th 2016 — With its television show “Wedden dat ik het kan” (“I bet I can do it’), Dutch production company MasMedia is the first company ever to capture a large live entertainment production in an entirely virtual set. It makes use of the Augmented Reality platform “CUBE” by NEP The Netherlands, a world leading media technology specialist. Although Augmented Reality (AR) is not new in the television world, it was never before displayed at this scale. With CUBE, dimensions and constraints of a physical studio are no longer an issue. Every world, no matter how big, small or complex, is now within reach. The set is fully interactive and adaptable to the content of the program. MasMedia was looking for new techniques to add as much atmosphere to its program as possible, without having to record outside the studio. With Augmented Reality and the CUBE-platform the set is highly flexible and adaptable— by show, or even by scene. It offers the possibility to interact with the set, because in composition and color the decor is able to react to the situation showed on screen. In addition, the decor is easily interchangeable when selling the format. 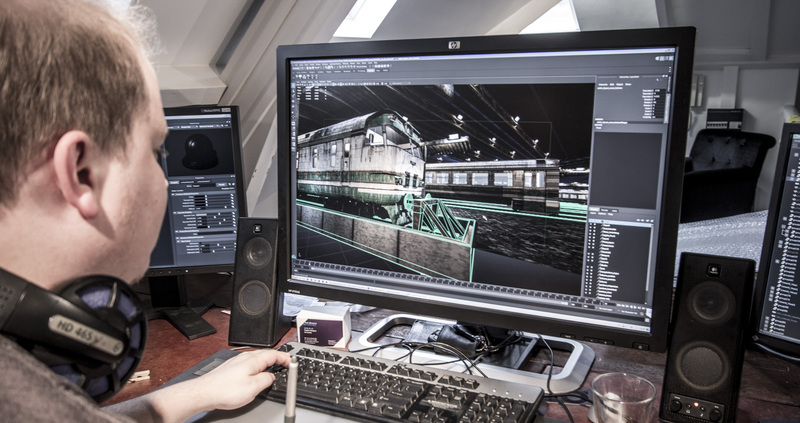 The “Wedden dat ik het kan” production includes a fully virtual skyline of a big city, including a moving zeppelin and gameplay-related graphics on billboards. CUBE is part of the full capturing process, including the tracking of the cameras, rendering and keying, as well as game logic. There will be nine episodes of “Wedden dat ik het kan.” The first show was aired on Saturday 22th of October at SBS6.